Will Mourinho be saved by Man United's dramatic comeback? 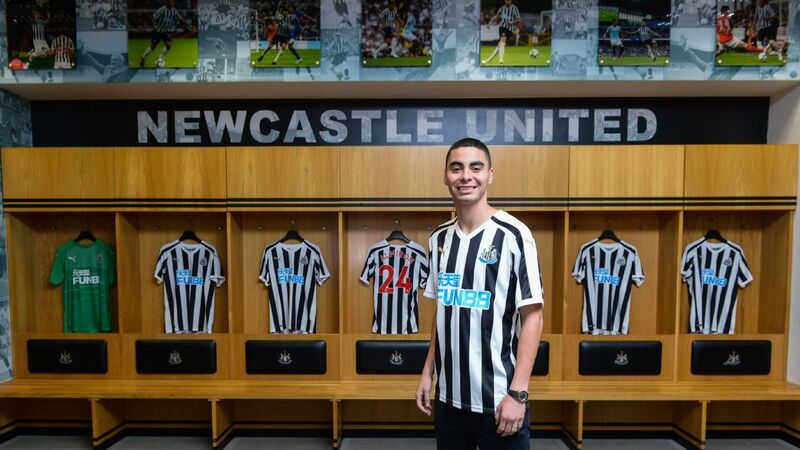 Ale Moreno breaks down Miguel Almiron's strengths and weaknesses and explains what Newcastle fans can expect from their newest transfer. There is plenty riding on Miguel Almiron's progress in the Premier League now that he's completed his move from Atlanta United; it's bigger than Newcastle United and bigger than Paraguay. It has to do with the possibility of a shift in the architecture of the global game. The transfer window in Europe is closed, but which clubs came out on top, and which suffered? We break down the winners and losers. Rafa Benitez must have woken up pinching himself this morning. Squeezing funds out of Mike Ashley tends to require Herculean effort, but Newcastle now have a new club-record signing, and there is every chance that, at around £20 million, Miguel Almiron will provide the kind of value their owner seeks. Juventus' loss against Atalanta was their first in domestic competitions this season. Mid-week matches can be rather taxing on the schedules of the regular football fan, but sometimes the action is just worth it. This was one of those times. Ole Gunnar Solskjaer made it four wins out of four as Man United boss as his side beat Newcastle 2-0 at St James' Park. NEWCASTLE, England -- Here are three points from St. James' Park on Man United's 2-0 win at Newcastle in the Premier League. Everything Ole Gunnar Solskjaer touches is turning to gold. LIVERPOOL, England -- Three quick thoughts on the whistle from Liverpool's 4-0 win over Newcastle United on Boxing Day.